Once a familiar political type, the Jewish revolutionary has long since disappeared from the historical stage. Celebrated on the left, exploited as a bogeyman by the right, he (and often she) flourished from the early 19th century to the middle of the 20th. A precursor was the Polish-born Zalkind Hourwitz, who played a walk-on role in the French Revolution. A late epigone was Daniel Cohn-Bendit, aka “Danny the Red,” a leader of the student tumults in Paris in 1968 (today he is a Green member of the European Parliament). In between these opera buffa characters were such major historical actors as Ferdinand Lassalle, Rosa Luxemburg, and Leon Trotsky. The prominence of Jews among radical leaders and thinkers led the historian Isaac Deutscher to maintain that “[t]he Jewish heretic who transcends Jewry belongs to a Jewish tradition.” A Trotskyist, Deutscher disclaimed belief “in the exclusive genius of any race.” Yet he suggested that Jewish revolutionaries were “in some ways . . . very Jewish indeed. They had in themselves something of the quintessence of Jewish life and of the Jewish intellect.” The conception of Judaism as inherently revolutionary is, of course, nonsense. The same claim has often been made of Christianity, and today we frequently hear it of Islam. The reality is that all three spiritual traditions contain both passive and aggressive streams—sometimes intermingled. Israel “Eppy” Epstein and his two Chinese children, daughter Ai Songya and son Ai Songping, in an undated photo. Of course, radicalism, particularly in retrospect, is more glamorous than conformity. Pantheonization of revolutionary heroes is a familiar historical paradigm, often shaped to serve contemporary political ends. Deutscher’s life of Trotsky, a masterwork of biographical advocacy, ultimately fell into that category. Mark Mazower’s What You Did Not Tell: A Russian Past and the Journey Home belongs to a newish genre, less ambitious but more subtle: the Jewish family memoir that is an act of filiopiety but also illuminates broad historical themes. Recent examples include Jonathan Freedland’s Jacob’s Gift (2005), with its vivid portrait of his communist great-uncle, Mick Mindel, in London’s East End; Ian Buruma’s affectionate reminiscence of his German Jewish grandparents in England in Their Promised Land (2016); and Philippe Sands’s exploration of his Galician roots (and those of the international law of human rights), East West Street (2016). These all share a perhaps excusable tendency to sentimentality. But what raises them above the level of mere family history is a capacity to connect the fates of individuals buffeted by the tempests of history to those larger forces that shape the destinies of nations. Perhaps exaggerating (reliable sources are scanty), Mark portrays Max as a central figure in the early history of the Bund in its heartland of the Pale of Settlement in the western provinces of the Russian Empire. Founded in Vilna in 1897, almost at the same moment as the Zionist Organization, the Bund, with its brand of socialist diaspora particularism, appealed to a man who was “driven by a very old-fashioned passion for justice.” Mark tells us that Max “had a visceral opposition to tribalism of any kind, ethnic and religious above all, an opposition that came from the gut as much as the brain.” Yet, like other Bundists, though an internationalist in principle, he could not quite shake off the idea of a specifically Jewish road to socialism. 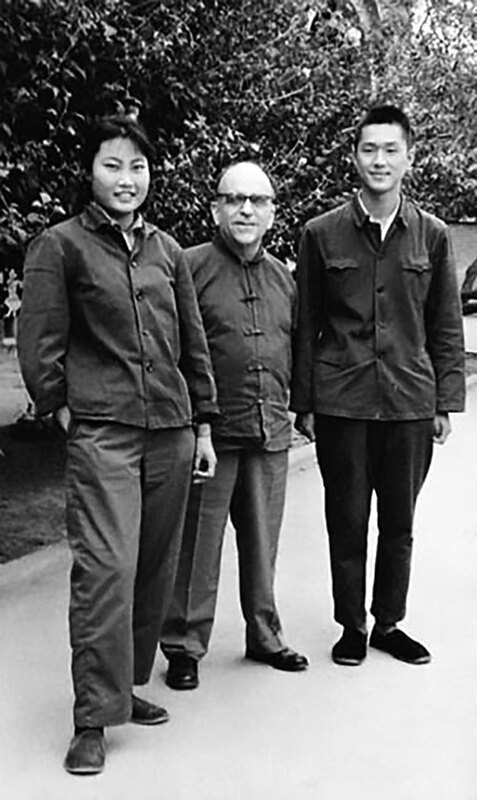 In reading about Max Mazower, I was forcibly reminded of an encounter in China some years ago. On a visit to Beijing in 1990, I visited one of the People’s Republic’s most honored citizens in his government-provided apartment at the Friendship Hotel. His name was Israel Epstein. Born in Warsaw in 1915 to parents who had been active over the previous decade in the Bund in Vilna, he had been brought to China as an infant. I had first heard Epstein’s voice on the English service of China National Radio a few days earlier, delivering an encomium in memory of a female American communist, an “old China hand.” Marveling at his old-fashioned British accent, I asked my official minders to arrange a meeting with him. “Eppy,” as he was known to his friends, told me that he had attended the English-language Tianjin Grammar School (hence his Ronald Colman–like locutions). His parents raised him in the Bundist faith, and he recalled punch-ups with teenage gangs from Betar, the rival youth movement of the Zionist Revisionists, then active in the Far East. As a young man, Eppy committed what was in Bundist eyes a cardinal sin akin to apostasy: He joined the Communist Party. In 1951 he was appointed editor of China Reconstructs, the Communist government’s main English-language propaganda organ. Like other foreign sympathizers with Maoism, he came close to being devoured by its children during the cultural revolution of the 1960s: He was imprisoned for five years. After his release, however, he was allowed to resume work and did so without qualms. In recognition of his services, he was appointed to the People’s Consultative Council, a quasi-legislative body roughly equivalent in status (and in lack of power) to the British House of Lords. Cheerful, gregarious, and overflowing with anecdotes about his past, Eppy was a likeable, silver-tongued conversationalist. His autobiography, My China Eye, published in 2005 shortly before his death, is similarly engaging and slippery. 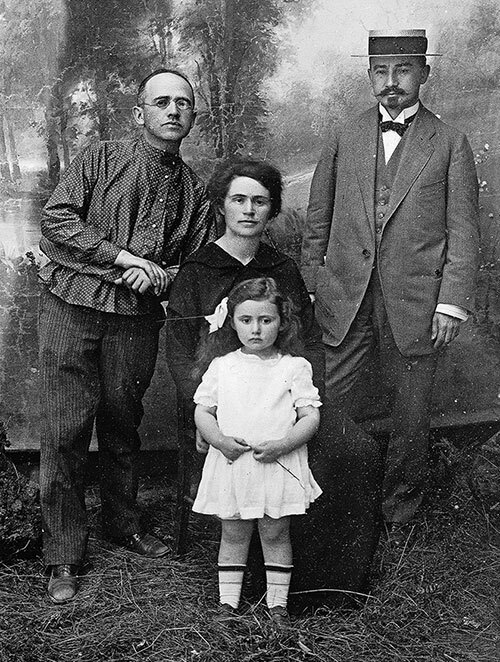 Did Max meet Eppy’s father during their shared years in the Bundist underground in Vilna? Almost certainly—though we cannot know for sure. But they were in any case kindred spirits, yoked in a common cause. Max was clearly a dedicated militant: He served on the party’s Vilna central committee and supervised its illegal journal, Der Klassenkampf. “[T]he consummate organizer,” he was, writes his grandson, “a figure of the shadows, someone who seems never to have sought the podium but knew what to do when a new press was needed, an activist smuggled in or out of danger, or workers brought out on strike.” Known to comrades by the party name “Daniel,” he also, unfortunately for him, became an object of interest to the secret police: They called him “the Handsome One.” He was arrested twice and dispatched into internal exile, from which, with luck and ingenuity, he escaped on each occasion. In 1907 Max made his way to England, where he secured a job with an American typewriter company involved in trade with Russia. To outward appearance he was now a respectable businessman. The Bolshevik revolution, however, found him back in his homeland. As a Bundist, he became suspect to the new rulers and was detained by the Cheka, the Soviet regime’s secret police. Perhaps thanks to old contacts among revolutionary activists, he was released after a few months. 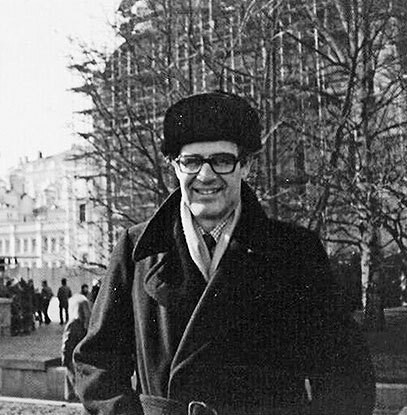 On flimsy evidence, Mark Mazower speculates that Max “might have easily come to know” Feliks Dzerzhinsky, head of the Cheka, and/or Maxim Litvinov, a future Soviet foreign minister. Or could Max have been a British spy? Tantalizingly, Mazower raises this question but after much sleuthing finds no supporting witnesses or documentation. Max left Russia in 1919, this time for good, and returned to London. The revolutionary phase of his life now definitively concluded, he settled down to a different mode of existence at 20 Oakshott Avenue, near Hampstead Heath, not far from the grave of Karl Marx in Highgate Cemetery. His house became the equivalent for him of Eppy’s Friendship Hotel apartment, though Max, unlike some other Jewish refugees of the period, was never elevated to the House of Lords. As for many Bundists in exile, party loyalty for Max became largely an exercise in nostalgia. Save for interwar Poland where it remained a political force, Bundism henceforth degenerated into little more than a Landsmannschaft, an international social club that indulged in wistful recollection of past revolutionary glories, sang lusty political songs, and contemplated with impotent horror the collapse of communism into bloody dictatorship. A visitor in this period recalled Max’s “warm, socialist home.” Mark has affectionate memories of his grandfather but notes that in later life the former revolutionary declined into sad passivity. Whereas Eppy was accorded a state funeral prior to the interment of his ashes in the Babaoshan revolutionary heroes’ cemetery in Beijing, Max’s family bade him farewell in a more modest ceremony at the Golders Green Crematorium. Mark Mazower writes eloquently about his grandfather. His depiction of the pathos of Max’s final years is particularly affecting. During the Second World War Max, like Deutscher, was on intimate terms with Shmuel Zygielbojm, the Bund’s representative on the Polish National Council in exile in London. Zygielbojm committed suicide in May 1943 as a protest against the inaction of the Allies in the face of the “the greatest crime in the history of mankind.” For Max, the slaughter of Polish Jewry left a desolate void: “[N]othing remained to be said or done on the larger issues for which he had once risked his life. Unfortunately, the diminuendo of Max’s later life story, basically completed about a quarter of the way through the book, seems to have left the author with something of a problem about how to fill up the rest. He does so by recounting the stories of other members of his family. “Uncle André,” possibly Max’s illegitimate son, becomes the object of a fascinating exercise in biographical detective work. The “black sheep of the family,” André studied at Corpus Christi College, Cambridge, and was taken up as a protégé by T. S. Eliot. In 1940, anticipating a German invasion of England, he changed his surname from Mazower to the more English- and less Jewish-sounding Marling. After the war, he emigrated to Spain. There he found work first as a nightwatchman at the British Embassy, later as an announcer on the English-language service of Spanish national radio. With his Cambridge background, André’s broadcasting voice must have resembled Eppy’s—though the two Bundist scions purveyed very different messages. André too made a radical break with his background—but in the opposite direction. He not only became an apologist for Franco, he also published (under yet another name) anti-communist, anti-Masonic, and anti-Semitic pamphlets that drew on The Protocols of the Elders of Zion to warn of a “red threat” of occult conspiracy bent on destroying Christian civilization. Such political deformation distressed the Mazowers, but Mark reports that it was André’s reception into the Roman Catholic Church that “Max found really shocking.” Not that the family harbored any residual religious commitment to Judaism: Like Ian Buruma’s grandparents, they had no compunction about celebrating Christmas and Easter, albeit as feasts drained of religious content. In this the London Mazowers differed from the Tianjin Epsteins who celebrated Purim and Hanukkah, though they did not fast on Yom Kippur. When Mark once asked his father what being Jewish meant to him, “he said that what it evoked for him was chiefly that sense of solidarity that he and his parents had felt with the refugees trying to escape Germany and Austria after the Nazis came to power.” Again there is a parallel with Buruma’s grandparents, who helped save Jewish children from Germany in 1938–1939. Much of the second half of the book is devoted to an account of the life of Mark’s father, Billy. By contrast with Max’s revolutionary youth and André’s spectacular embrace of fascism, Billy’s was a conventional, relatively uneventful life. His studies at Balliol College, Oxford, were interrupted by war service. 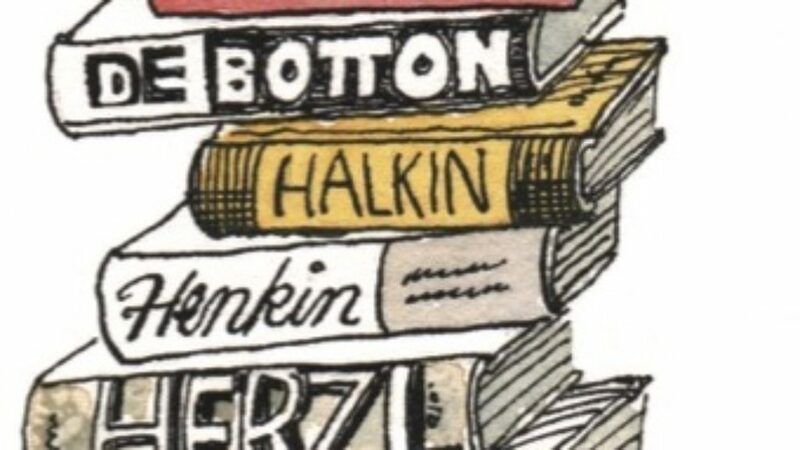 In writing about this period, Mark strains to draw “a provisional sketch of the road map of the emotional landscape of England in wartime” that his father had known and traveled. Billy pursued a somewhat dull-sounding career as a manager with Lever Brothers, dwelling among the heavily Jewish, middle class, mildly left-wing intelligentsia of north-west London. Sympathetic to both his father and grandfather, Mark sees Billy’s life of quiet, domestic contentment as a reaction to the turbulence of Max’s background. A peculiarity of this book is what is not in it. When I first heard that Mark Mazower had written a memoir of his grandfather, I immediately assumed it was about his other grandfather (actually, it turns out, his mother’s grandfather), the great Yiddish novelist Sholem Asch. Yet Asch appears only in a few lines toward the end of the book. Perhaps Mazower felt (wrongly) that Asch’s life story had already been sufficiently explored. Or maybe he felt alienated from Asch’s bourgeois, middlebrow ethos? Either way, it is a strange omission. Should Max Mazower be classed among history’s losers? In a political sense the answer must be yes, though a comparison with Eppy, an ostensible winner, might give one pause. In the hands of his grandson, Max’s story is nevertheless well worth reading. It sheds light on the acute political, social, and intellectual dilemmas that confronted European Jews (and others too, but most particularly Jews) in the early 20th century. Beyond that, it is an affecting human portrait, drawn from life. Mark Mazower writes with sensitivity, imagination, and a literary flair worthy of his other better-known forebear. Perhaps he will next produce the serious, sympathetic biography of Sholem Asch that cries out to be written. Bernard Wasserstein, an emeritus professor of history at the University of Chicago, is the author of On the Eve: The Jews of Europe before the Second World War. He lives in Amsterdam. Bernard Wasserstein's interesting remarks about Israel Epstein brought back memories of my visit to speak with him when I was in Beijing as a visiting scholar in 1984. What Wasserstein does not mention, but has been revealed by the Vassiliev Notebooks (copies of documents from KGB archives) is that Epstein worked as a KGB source under the code name Minayev. He had been recruited in China in 1937, but spent 1945-1951 living in the United States. Like some of the revolutionaries Wasserstein mentions, his own persecution by his erstwhile comrades never shook his faith. He claimed that his imprisonment during the Cultural Revolution had "helped improve him by shrinking his ego." is better than to be a bore. as losers, and therefore forgotten. beyond the context of his crimes. Scholars and lay readers remain fascinated by the biblical stories of David and the history behind them, as a new batch of books shows. The Splendor of the Camondos and the pity of it all.